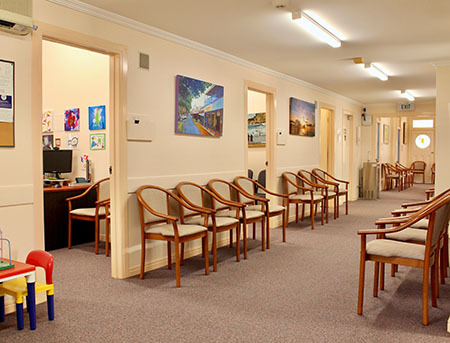 Alexandra Park Medical Centre a Medical Practice located in Bundaberg, family oriented GP and doctors that care. Timely Doctor appointments for specific problems. Chronic disease (diabetes, hypertension, asthma etc) clinics using an interactive patient software programme www.patsoftware.com.au and the practice team to ensure comprehensive annual check ups. It is expected that all patients with a chronic disease attend these clinics. Evidence based preventive care. Age appropriate immunisation is imperative and delivered by qualified nurse immunisers. If you are acutely unwell, you will be seen the same day by one member of the team via an acute appointment slot. Quick Clinics run at 8.30am and 4.30pm Monday to Friday and Saturday mornings 8.30am. These Clinics are for sick children less than 16 years of age. No appointment is needed, just arrive at either 8.30am or 4.30pm. Script Clinics run at 1.30pm Monday to Friday for repeat scripts or ongoing specialists referrals. No appointment is needed. If you have a chronic disease you must attend for an annual clinic check up to be eligible for script clinics. We offer an appointment system with the doctor of your choice. Appointments are at 15 minute intervals. If you have either multiple problems or a complex problem please book a double appointment. As we reserve some appointment times so acutely unwell patients can be seen same day, we spread our routine appointments over several days. Routine appointment with the doctor of your choice may not be same day. We are a private billing practice with Medicare Online claim back facilities for your convenience. However we do bulk bill immunisations (children and pensioners) and all sick children seen in the Quick Clinics. A message will be taken by reception and you will be contacted by the practice once the doctor has reviewed the message. Your request will be taken by reception and the staff will phone you back as soon as possible after they speak to the doctor. We consider your participation in health monitoring to be an essential part of your health care. We operate an extensive reminder system designed to ensure the opportunity of attendance. The surgery is open from 8am to 6pm Monday to Friday and 8am to 12midday on Saturday. 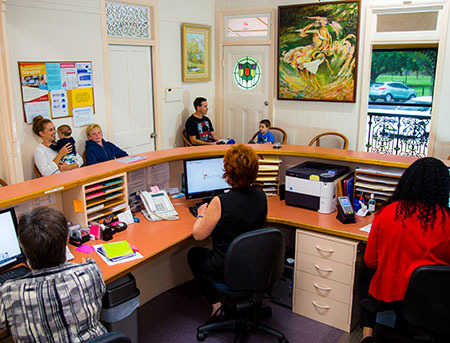 Friendlies Emergency Healthcare 19/23 Bingera St, Bundaberg West is open 7 days 8am to 8pm phone (07) 43311777. This practice is designed for wheelchair access. We have a wheelchair available if required. Should you have special needs please discuss them with your doctor. There is a disabled car park next to the rear ramp access. Our practice undergoes three yearly external accreditation audits to ensure RACGP standards are met. Please do not hesitate to ask our reception team to order a taxi from the surgery should you require one.